Sri Sathya Sai Space Theatre is basically a planetarium, designed primarily for providing information about Astronomy, Physics, and Mathematics. It is located in the Sri Sathya Sai Vidyagiri Campus of Puttaparthi. 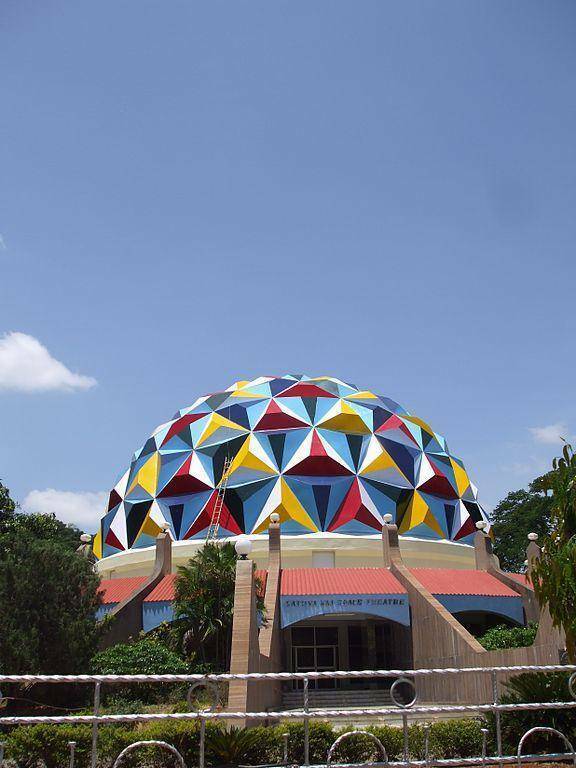 Located in the Vidyagiri Educational Institution campus at Prasanthi Nilayam, Puttaparthi, this Planetarium is the only one between Bangalore and Hyderabad. Theatre presents educational and entertaining shows by means of advanced technology. Celestial scenes are created using Spitz Space system technology to provide relative motion of the sky. The best time to visit the Sri Sathya Sai Space Theatre is Thursdays when shows are conducted in both languages, English and Hindi.